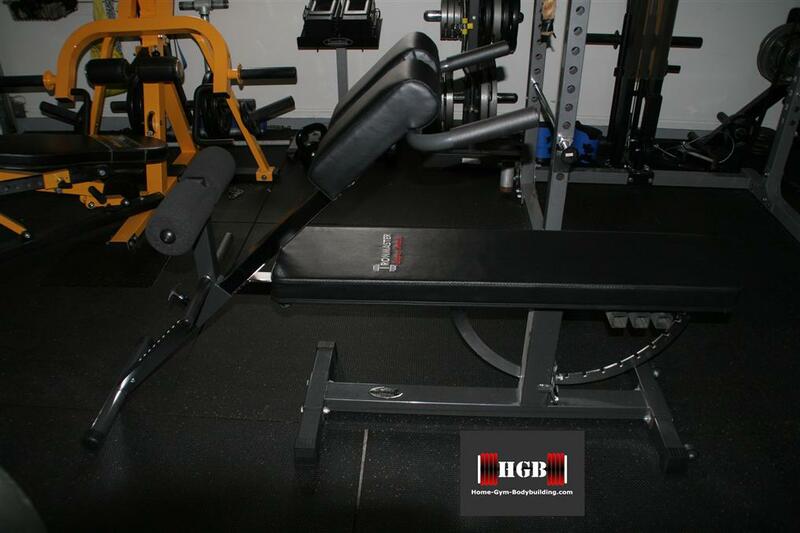 This new Ironmaster Hyper Core - 45 Degree Hyper Extension Attachment simply plugs into the Super Bench and turns it into a 45 degree hyper extension bench. 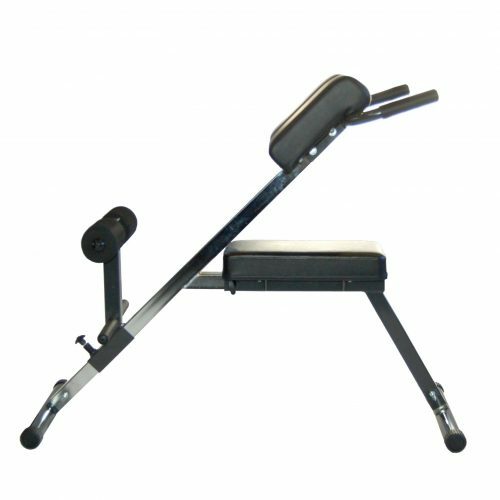 You can strengthen your lower back, abs and oblique's with this versatile attachment. 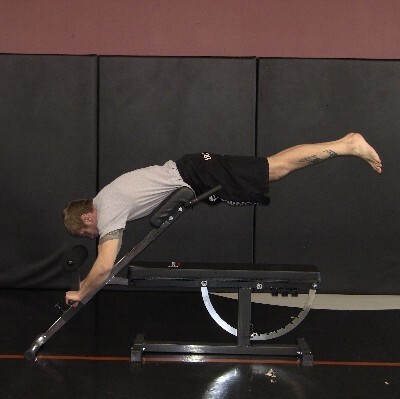 My first impression of the Hyper Core when I saw it on Ironmaster's Facebook page was that the range of motion was too short; I asked Matt from Ironmaster about this and he replied you can bend to almost a 90 degree angle. He was right, but taller lifters might have a problem. So, the range of motion is there, which is good, but why do 45 Degree Hyper's in the first place? Weighted back extensions (also called hyperextensions) are a fantastic exercise for the lower back, hips, glutes, and hamstrings. The lower back is an area that a lot of people neglect in their workouts because it's not a "show off" muscle like the chest, arms, or abs. This neglect is part of the reason why people often experience lower back problems as they get older. This is a critical area that you really need to focus on in your training. In fact I recommend that you regularly include back extensions in your workouts because having a strong posterior chain (i.e. the muscles the run along the back of the body) will help strengthen your core and help with virtually every exercise you can do. This strength will carry over into all standing exercises like shoulder presses, squats, deadlifts, even bicep curls. It's a good idea to save this exercise for at the end of a back workout. If you did it earlier in your back workout it could pre-exhaust your lower back and really limit you in performing your other back exercises. 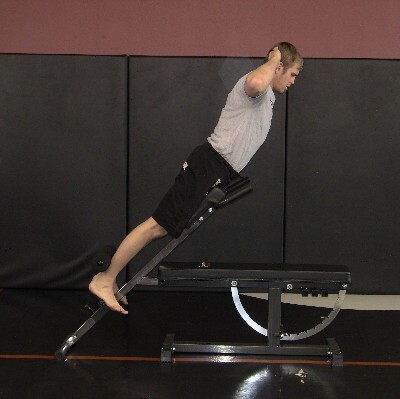 This one is best saved as a finisher to your back workouts. All hypers have two separate pads (like the Hyper Core) which allow your "guy parts" some breathing room! As soon as I saw Ironmaster offering this I placed my order. I put it together in about twenty minutes while watching Clark Howard on HLN (love his money tips).I did manage to shear off one of the bolts that holds the base onto the attachment. Luckily this bolt doesn't support any weight; it merely attaches the base to the unit. Is this up to Ironmaster quality standards? I would give the quality 8 out of 10, mainly because of the weld splatters on some of the welds, and because of the cheap bolt that I sheared off. The two main cushions provide comfort for all of the exercises. 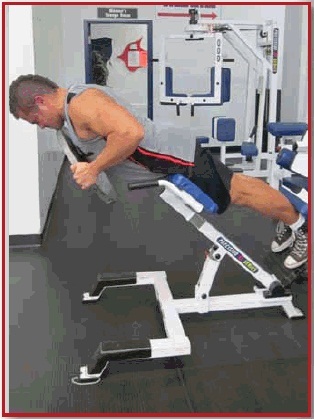 The attachment and super bench feel solid while using it and while climbing on/off the attachment. 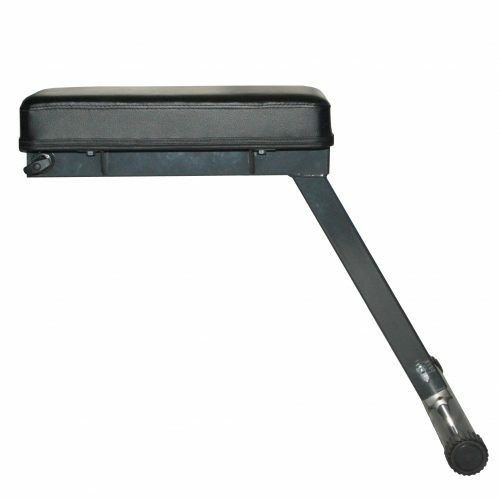 The attachment has an adjustable foot holder for users of different heights. If your tall, say over 6', there might be enough adjustment in the foot holder to allow you to bend 90 degrees without planting your face in the bench. 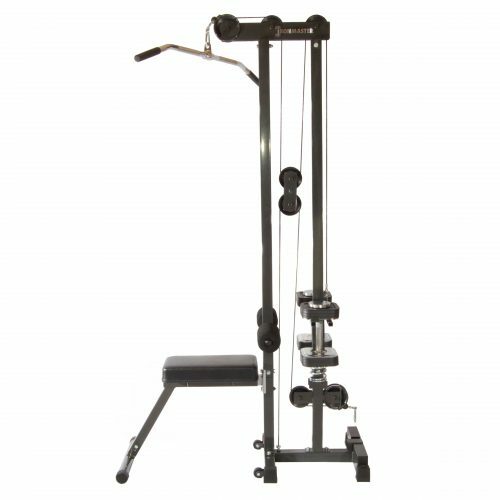 This takes up way less room than a free standing 45 Degree Hyper Extension machine; just detach it from the super bench and store it up against a wall. Load limit is 300 lbs. Dimensions are 23" wide x 20" deep x 58" long. 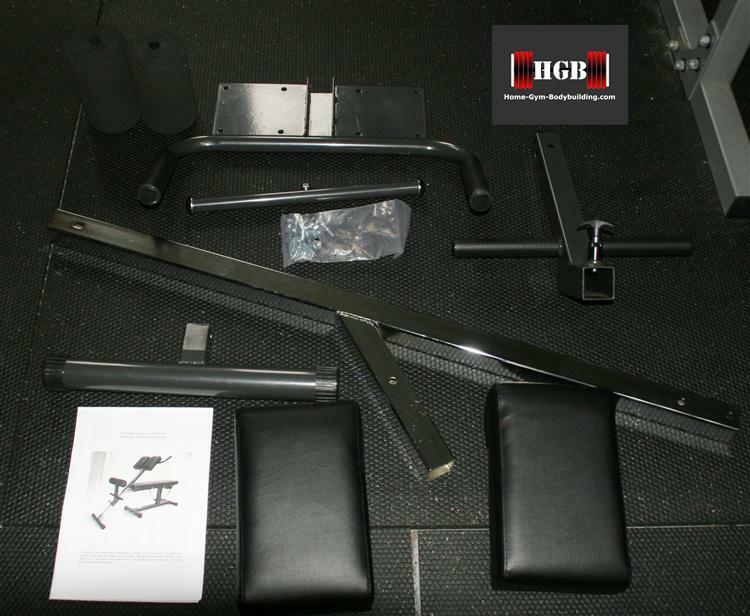 When attached to the Super Bench it requires 23" extra length and the top of the pads are 44" from the floor. 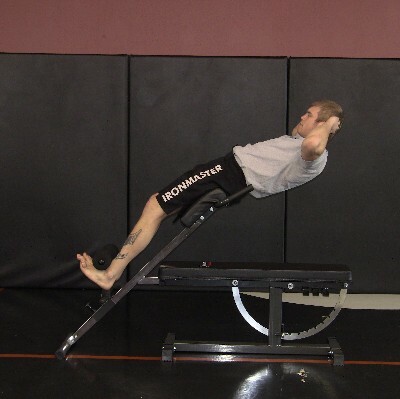 45 Degree Hyper Extension: works like any other 45 degree machine, but what I like is how easy it is to add weight to the movement; simply lay a weight plate or DB on the bench, then pick it up and hold it close to your chest. Keep your elbows tucked into your body or they will hit the hyper's handles. Romain chair sit-ups on this? Yes, but I felt it my quads as well as my abs (not the attachments fault, just the nature of the exercise). Side Bends: Sure you can easily do these, but why would you want too? I don't need muscular luv handles! 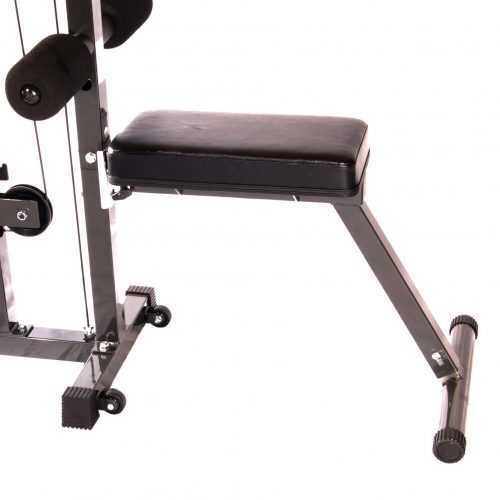 Reverse Hyper: Do your legs hit the bench when doing the reverse hyper? 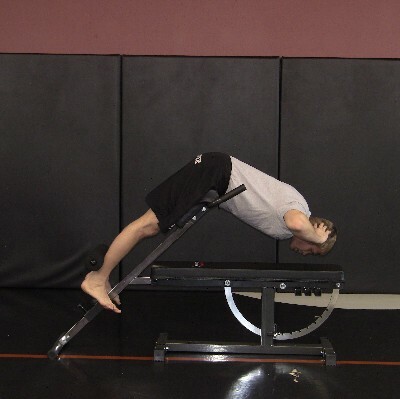 Yes, you have to straddle the bench to get a complete range of motion. You also can't add weight, unless you consider wearing ankle weights as added weight. Saying you can do reverse hypers on this is a bit of a stretch. New Item! Shorter cable tower seat. This seat connects to the Cable Tower and makes it free standing without the need for using the Super Bench. Saves space with the shorter length but is still very stable. Also works with the Hypercore attachment. 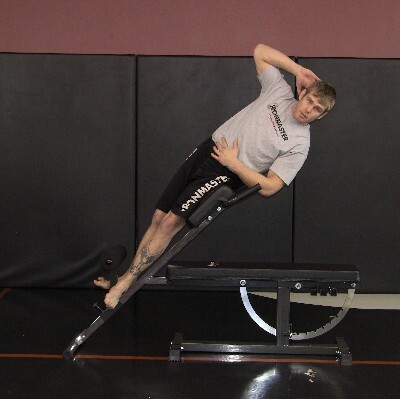 Possible short range of motion for taller lifters. The adjustable foot holder may provide enough fine tuning for taller lifters, but unfortunately I can't test this since I'm only 5'-7". Hard to do true reverse hypers where you add weight near your ankles which forces your legs to swing past the 90 degree mark. 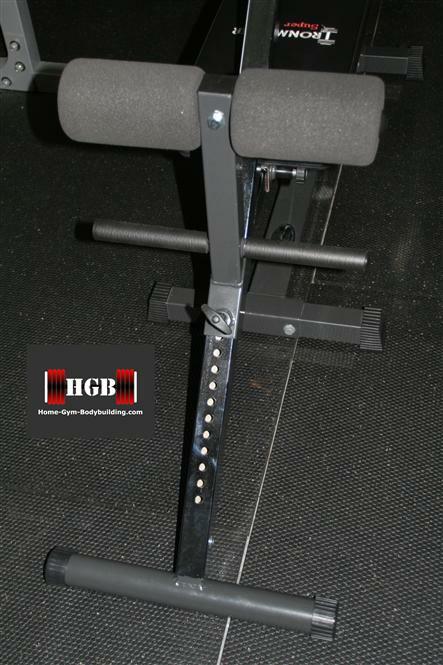 Bottom Line: The Ironmaster Hyper Core - 45 Degree Hyper Extension Attachment is another well made, well designed Super Bench attachment from Ironmaster. Wow! I just received my dumbbells and I am amazed! I've been weight training for 24 years and have worked/worked out in various gyms and this set is as close as you can come to pro-dumbbells. 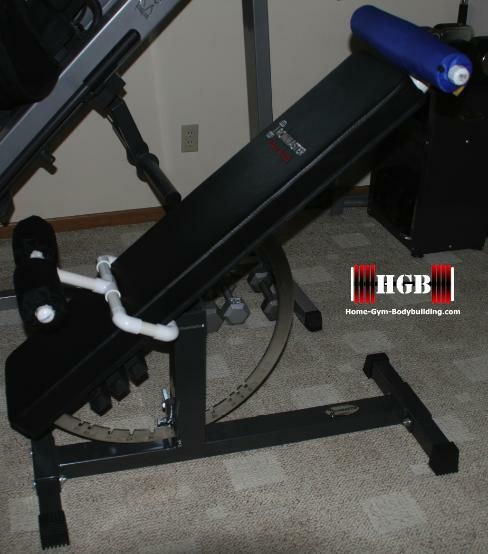 I have been building my home gym over the last year and even bought a pair of another brand's adjustable dumbbells (rhymes with "power-shock") and your dumbbells rock! 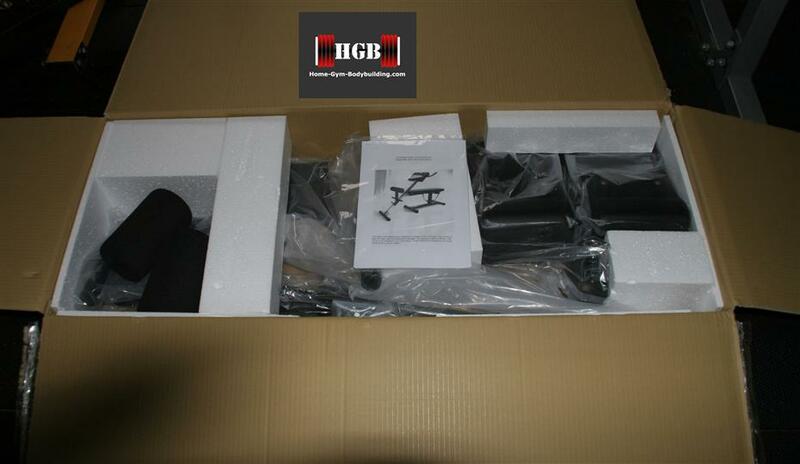 My old dumbbells were very awkward and unbalanced especially when I used them with their 130 lb add-on kit. I could not 'wrap-in' which limited my training...and I was staying away from my usual training weights due to the fear of dropping these expensive items and bending them. Finally, I am hitting the weight in my home gym that I used to hit when I was a member in a commercial gym. Thank You!